Far and away the best film I saw this week was the darkly comic road movie Sightseers. It's Ben Wheatley's follow up to last year's brilliant Kill List - and though it is still rather gruesome, Sightseers is rather lighter in tone than its predecessor. We follow Tina and Chris, a couple of dowdy lovebirds from the Midlands on a romantic caravan tour of Northern England - taking in such unmissable attractions as the Crich Tramway, Mother Shipton's Cave and the Keswick Pencil Museum. When the pair accidentally run over another holidaymaker, it sets off a murderous chain of events, as they start to develop a taste for removing irritating people from their lives... I really can't praise this movie highly enough - it's one of the few times in recent memory where I've emerged from the cinema and felt absolutely dazzled by what I've just seen. The movie is rooted in two wonderful, and brilliantly realised lead performances from Steve Oram and Alice Lowe (who I'd last seen as Liz Asher in the hilarious Channel 4 comedy Garth Marenghi's Darkplace). They're both completely natural and convincing as Tina and Chris, to the extent that if I bumped into them on the street I'd probably run away from them for fear of meeting an unnatural end. The script is terrific - full of sharply observed details and excellent one liners. On top of all that, Ben Wheatley's direction is, once again, fantastic. All sorts of credit must go to him, and his director of photography, Laurie Rose for some truly beautiful (and rather haunting) shots of the Yorkshire Dales and Lake District. He also has a wonderful eye for detail, and in the set design he perfectly captures what it's like to live in this country at this point in time. We're getting close to the end of the year now, and I've no doubt that this film will be making an appearance very close to the summit of my end of year Top Ten. The next two films I'd like to discuss are an interesting study in contrasts. First of all, we have the made for TV adaptation of Stephen King's It. Now, in many ways, I can appreciate that this film is fundamentally lacking in a couple of crucial areas. For one thing, the acting of some members of the cast is atrocious; it ranges from completely wooden (John Ritter) to Tommy Wiseau levels of hysteria (Annette O'Toole). For another, the special effects are laughably poor in places - particularly towards the end of the picture when 'It' transforms into an incredibly cheap looking (and entirely unscary) spider. That's not to say that there aren't plus points here; Tim Curry is both creepy and hilarious as the main villain, Pennywise the clown, and there are a number of effective set pieces scares. Anyway, for all of the movie's problems, I can't say I wasn't entertained. Even when the film was bad, it was bad in an amusing way, and the lengthy three hour running time just flew past. Now, as a point of comparison, I'd like to discuss a totally different type of film, Michelangelo Antonioni's arthouse drama, The Passenger. Originally made in 1975, it was recently re-released to a great deal of admiration from a number of highly respected critics, so I was expecting something a bit special. 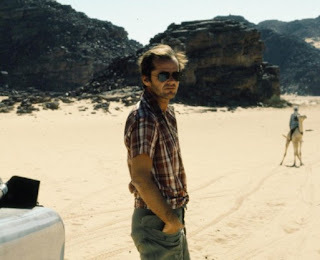 Unfortunately, despite a typically charismatic central performance from Jack Nicholson and some beautiful cinematography, the plot goes absolutely nowhere, and the film crawls along at an incredibly slow speed. Despite a running time which is at least one hour shorter than Stephen King's It, the movie felt at least four times as long. Not one I'll be returning to in a hurry, unless I'm suffering from crippling insomnia. 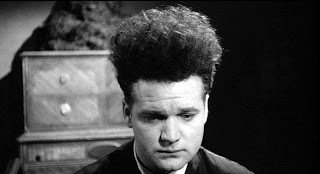 Finally, just to wrap up, I should also mention that I watched a couple more David Lynch movies this week, meaning that I'm pretty close to having watched the complete set. (Just the Twin Peaks movie, Fire Walk With Me, to go.) Regrettably, neither of the two films rank among his best work, in my opinion. In fact, I'd say that Lost Highway, a neo-noir set in Los Angeles, is probably his worst film. Maybe I was just in the wrong frame of mind when I watched it, but it seemed entirely nonsensical, with flat, listless performances from the cast - and what's worse, despite all the craziness, it became a little boring. However, I know that people have levelled similar accusations at Lynch movies which I adore (Mulholland Drive, Inland Empire), so it might be worth giving it another go in the future. Eraserhead is an almost unclassifiable movie; made by Lynch as a student project, it revolves around the deeply disturbing life of a man with Cosmo Kramer like hair who lives in a rundown, industrial sector of an unspecified city. We spend a few days with this unfortunate soul, as he endures an unbelievably awkward dinner with his in-laws, then is given the responsibility of babysitting a sickening half baby - half lizard type creature that is apparently his son. If I was to reflect my response to this picture in three words, they would be 'revulsion', 'fear' and 'confusion', but given that those are probably the reactions that Lynch was seeking when he made the movie, it has to be considered a success on some level. 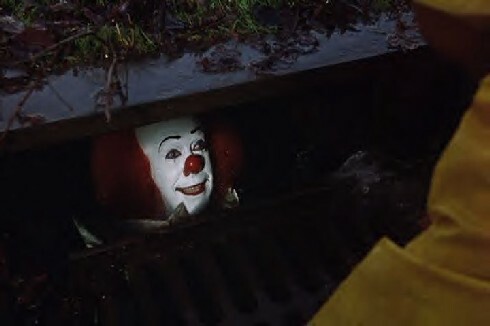 "Pennywise: There's cotton candy, and rides, and all sorts of surprises down here... and balloons too... All colours. Pennywise: Oh yes, they float, Georgie. They float, and when you're down here with me... You'll float too!"